Trump names Jason Greenblatt and David Friedman as his Israel advisors. Friedman writes regularly on Arutz Sheva. In a meeting with Orthodox Jews Thursday, Donald Trump named his two advisors on Israel - and the names bespeak good news for nationalists who believe in Israel's right to the Biblical heartland of Judea and Samaria. The two are Trump's chief lawyer, Jason D. Greenblatt, a real estate attorney from Teaneck, New Jersey, and another real estate lawyer, bankruptcy expert David M. Friedman of the Kasowitz law firm. Greenblatt is very supportive of the Judea and Samaria settlement enterprise, and Friedman is a leading commentator on Arutz Sheva and serves as the President of American Friends of Bet El Institutions. 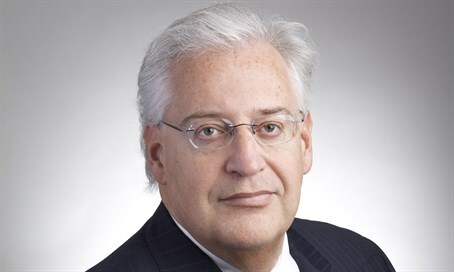 Friedman told Arutz Sheva's Baruch Gordon Friday: "Mr. Trump's confidence is very flattering. My views on Israel are well known, and I would advise him in a matter consistent with those views. America's geo-political interests are best served by a strong and secure Israel with Jerusalem as its undivided capital.